In many organizations it is common to find employees suffering from the adverse effects of stress. Left unmanaged, stress can lead to unproductive patterns and result in loss of focus, motivation, and productivity. 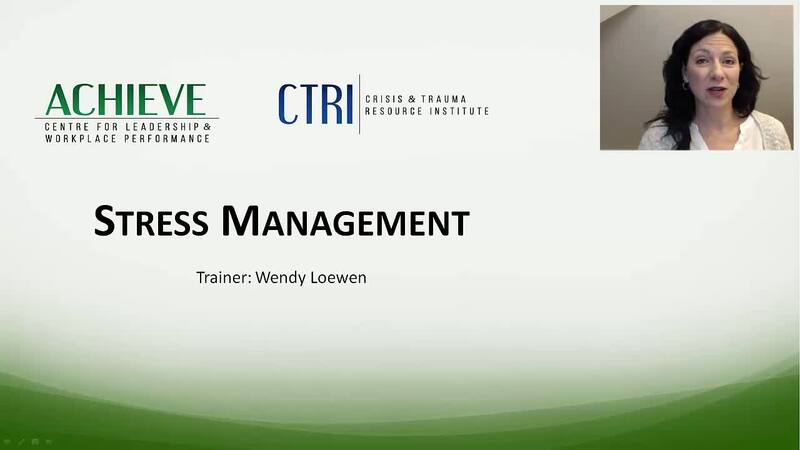 This webinar will help participants identify personal stress factors and introduce them to practical methods for successfully managing stress. Viewers will have the opportunity to develop a personalized plan that enables them to function at their best in the work environment.